← What’s self-esteem got to do with it? Whenever I go on an overseas programme visit I can usually find a spare day (although there aren’t many) to see something I wouldn’t normally see if I was on a regular holiday. I wouldn’t call it sightseeing because in my line of work most of the places I tend to visit aren’t exactly on the tourist trail. Poverty isn’t particularly photogenic. 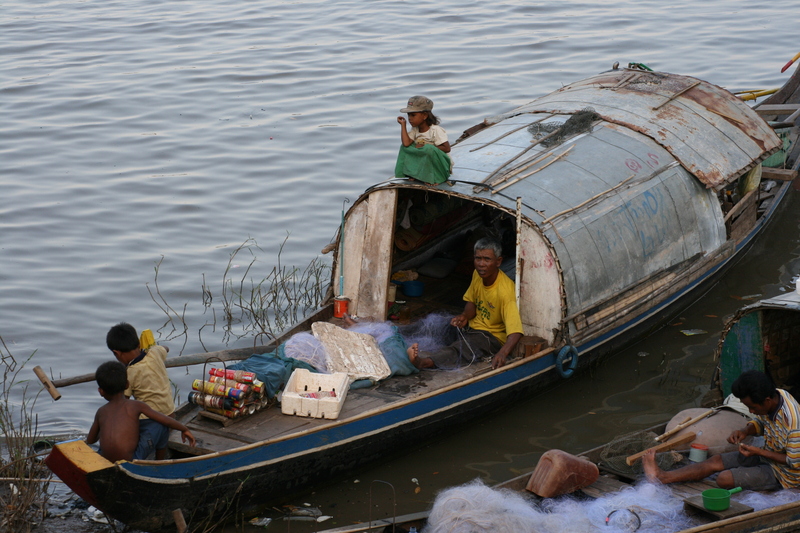 One programme visit took me to the southeastern country of Cambodia. I was particularly fired up about this trip because when I was growing up the civil war in Cambodia was my first real sense of a world that was going wrong. I was 11 years old and the BBC News was full of the human suffering at the hands of Khmer Rouge. Cambodia existed under a dictatorship and as such political opposition, religious leaders, artists, writers, business people, in fact anyone who was from the educated middle-classes, suddenly became enemies of the new communist state and were killed in special execution centres. The most notorious of these centres was the Tuol Sleng in Cambodia’s captial Phnom Penh. Formally a university, Tuol Sleng alone was said to have imprisioned as many as 17,000 men, women and children during the regime’s four years in power, and it was here that Vulthi, ADD Cambodia’s Project Manager asked if he could take me. A survivor of one of the work camps himself Vulthi took me on a somber tour of the cells and torture rooms housing vivid photos and paintings of the rooms inhabitants. Vulthi didn’t attempt to sanitize the realities of what happened there, nor was he overly emotional or morbid with his recollections. He just told it like it was. But there was no need because I could see for myself how it was. Every cell I entered was left exactly as it had been found. The empty metal-framed bed draped with handcuffs that had chained the occupant to it until they died of starvation or were set alight by their jailers before fleeing on liberation day. And as if to reassure me that what I was looking at was genuine, on the wall a poster sized photograph of the same room on the day the Vietnamese troops stormed the jail. 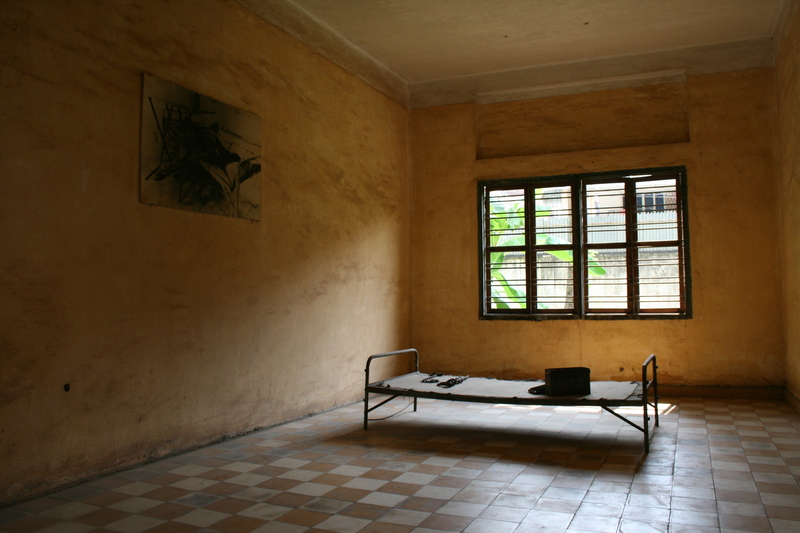 Two things struck me about that visit to Tuol Sleng: One was the emptiness of the museum. It clearly wasn’t popular with the tourists. The other was Vulthi’s willingness to share memories of a painful childhood without any trace of bitterness. Unlike the Holorcaust, which I find hard to relate to because it didn’t happen in my lifetime, the turbulent years of the Khmer Rouge is something I shared with this gentle, forgiving man, albeit at a distance. As someone who wasn’t held captive by the past Vulthi embodied everything I aspired to be and I was grateful for the time we spent together at Tuol Sleng as it put the news stories into context for me in a way that no tourist was ever going to get, even if they did muster up the courage to visit it. Writer, photographer, filmmaker and general vagabond whose committed to inspirational stories and the art of influence. The photo of the bed in the room is good, and does tell the story like it was, without pretending or fake menace. Good shot, and thanks for the background.